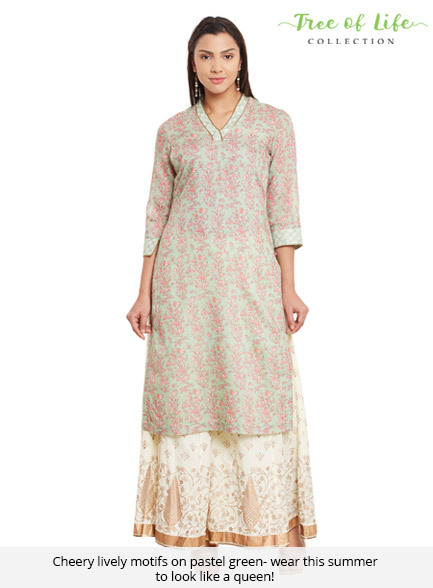 The collection “Tree of Life” exudes charm and sophistication and its style is simple! 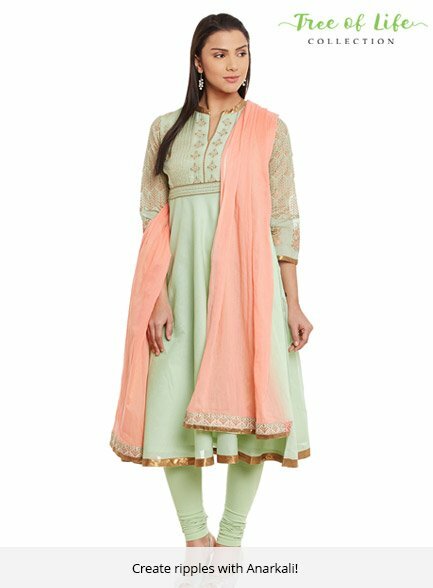 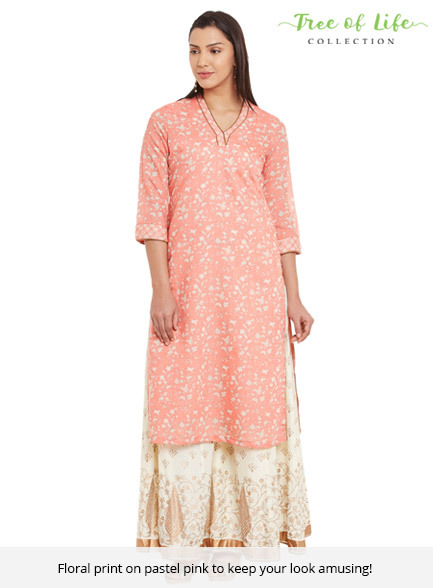 This pastel coloured kurta displaying chintz floral motifs in print which are highlighted by copper tones look elegant and a must-have. 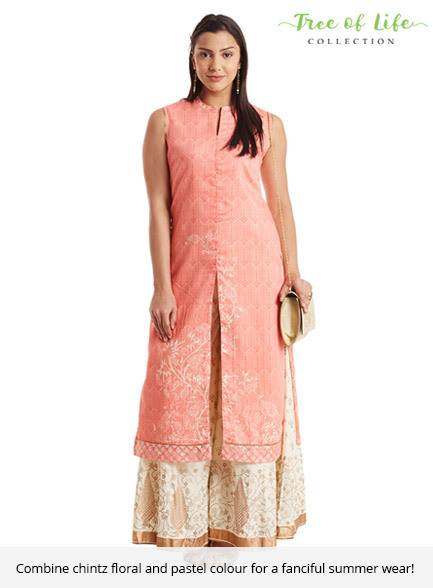 Pair it with churidar and dupatta from same collection for an enchanted summer day look.